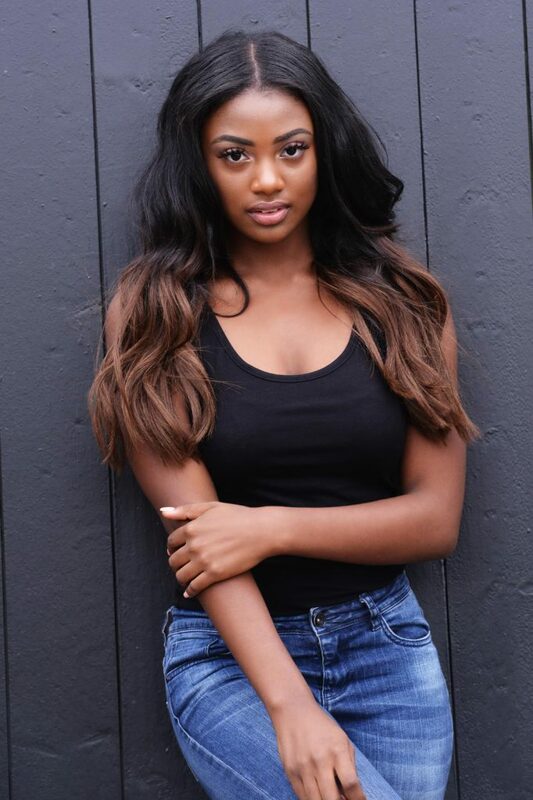 Quishantely Leito, Miss Teen of the Netherlands 2018. One of our favorites during the last Miss Beauty of the Netherlands. We saw Quishantely already winning the Miss Teen of Zuid Holland in her Disco dress and knew that she would be a real contender for the overall title. And she showed us! But who is Miss Teen of the Netherlands? We asked her 10 questions. I am a 17- year old girl, who lives in Rotterdam. I am in my final year of the higher secondary education now. As a person Iike to go through live positively and I always want to make people laugh. I see myself as a powerful girl who knows what she wants and always does everything to make her dreams come true. 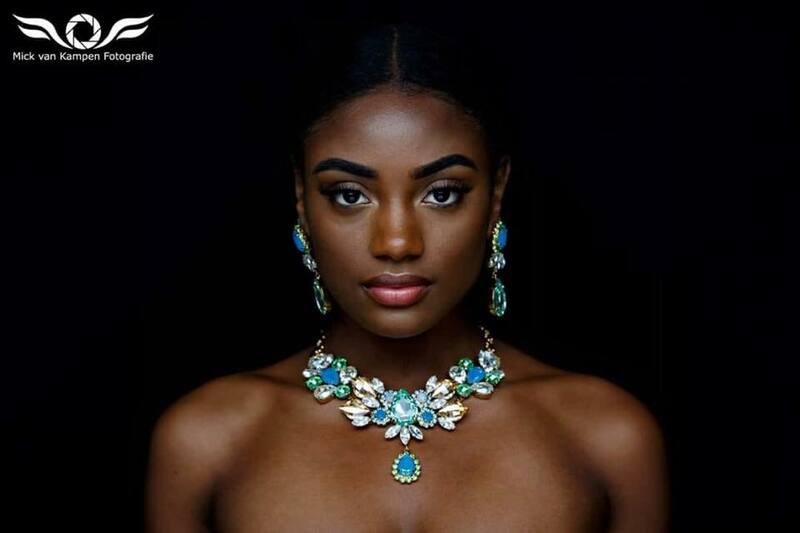 When and why did you enter the world of beauty pageants? I saw the account of Miss Beauty of the Netherlands on Instagram in 2017, so then I started to keep an eye on it and saw the developments that the girls made and I found it so beautiful to see. As I grew older I wanted to discover my beauty literally and figuratively and I felt that a miss election would be perfect for that. so I signed up in 2017 and joined in 2018 and now I am Miss Teen of the Netherlands. who would have expected that? What, in your opinion, is the difference between a Teen-pageant and a Miss beauty-pageant aside from age? The difference between the two is that a miss beauty-pageant is full of powerful, confident, and strong women who want to enrich these qualities into their peers. The miss teen pageants are more about the joyful young spirits. These kids are already taking steps to change the world. We should all strive to be like both of them. Do you think the dreams of a teenager are different than those of an adult and in what way? Yes, I think that the dreams of teenagers are different than adult dreams because teenagers aren’t always realistic, but the most ambitious ones, and the ones that are willing to put in the work, achieve there childish dreams. Why do you think all teenage girls should enter a pageant and why? what did it bring you that everybody should get. The reasons I believe that every woman should enter a beauty pageant are that these pageants teach you more than just being pretty. Since entering Miss Teen of The Netherlands, I’ve been more active in my community. We’ve worked with and for different causes and organizations that have actually helped out struggling families. So the reason I think that every woman should enter a beauty pageant, is because it’s made me a better person, given me more knowledge, given me more confidence and given me the social skills to influence my peers. Do you think there should be an age limit to the use of social media, why or why not? How do you prepare for the international pageant? What is the most difficult part of the preparation? Being in the public eye isn’t easy, people get to think and say want ever they want about you. So the most difficult part about the preparation is the mental part of it. You have to be a strong minded person to not make successes rise to your head. Do you think a teenager in the Netherlands has a different upbringing than a teenager in China? Please explain. I think that children in the Netherlands have a different upbringing because, I truly believe that everyone in The Netherlands has equal opportunities, whereas in China these privileges are reserved for the upperclass. So we’re lucky to be in this situation. What song is your song and why? My all time favorite song is Level Up by Siarra. The artist talks about the mistakes she made and how she recovered and learned from them. This gives me the motivation to continue what I’m doing and just Level Up! What about Quishantely in 20 years? In 20 years I hope to be happy, healthy and in love with my husband and my kids. I’ve accomplished my personal and professional goals. I hope to have a positive image and for people to know me as a respectable and empowering woman. Who needs fashion, when you look like like this in jeans..? ?